Frankston in Victoria boasts the first life saving club to receive solar panels under the Victorian Government’s Community Renewables Solar Grants Initiative. According to the state’s Minister for Energy and Resources, Lily D’Ambrosio, solar power systems will be installed on most of Victoria’s 50 or so life saving clubs under the $500,000 scheme. Under the program, only approved solar retailers are able to supply and install solar panel systems to clubs. Approved retailers are those that are signatories to the Clean Energy Council’s Solar Retailer Code of Conduct. The 5kW system at Frankston could save the club around an estimated $2,000 a year – money that can now be diverted to other club activities. “This is about helping Victorian lifesaving clubs save money on their energy bills and driving renewable energy generation in Victoria,” said Minister D’Ambrosio. Member for Frankston Paul Edbrooke applauded the crucial role life saving clubs play in our community. “Frankston Life Saving Club will now be able to save on electricity bills and spend more time and money on what really matters – keeping people safe on our local beaches,” he said. Frankston was a 2015 Lifesaving Victoria Club Of The Year Finalist. The Victorian Government has partnered with Life Saving Victoria on the solar program. The organisation employs more than 300 staff and the state’s lifesaving clubs under its umbrella have more than 31,000 members. In August last year, the Victorian government released a Renewable Energy Roadmap, which outlines a set of initiatives to accelerate the development of renewable energy projects in the state. After considering feedback from the public consultation on the Roadmap, the government will release the Renewable Energy Action Plan. 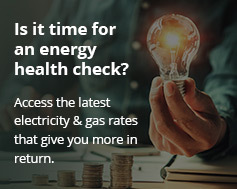 In November last year, the government launched a scheme to source renewable energy certificates from new projects in the state, which will generate approximately $200 million of new investment in Victoria.